San Sebastian is a beautiful Spanish seaside town in Basque Country. 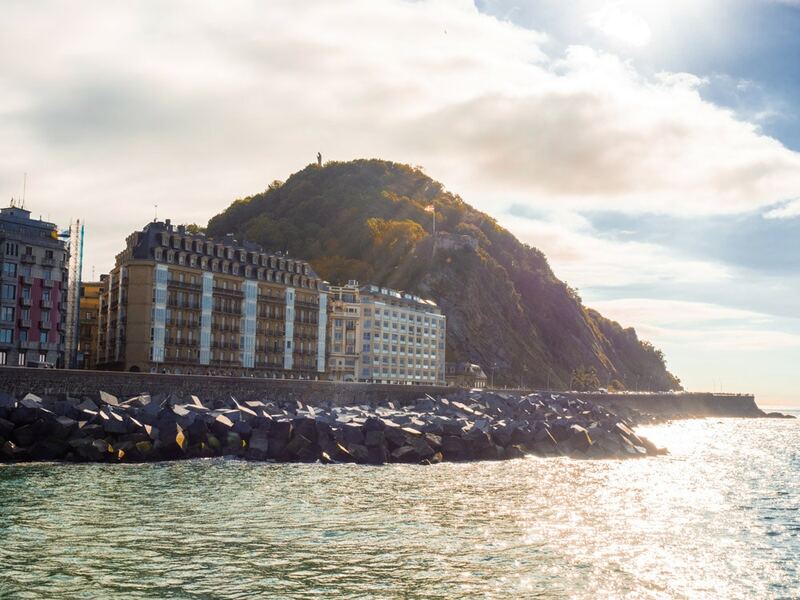 San Sebastian is known for it’s delicious and fun Pintxos Bars, charming Old Town and beautiful beaches. So where to stay in San Sebastian? 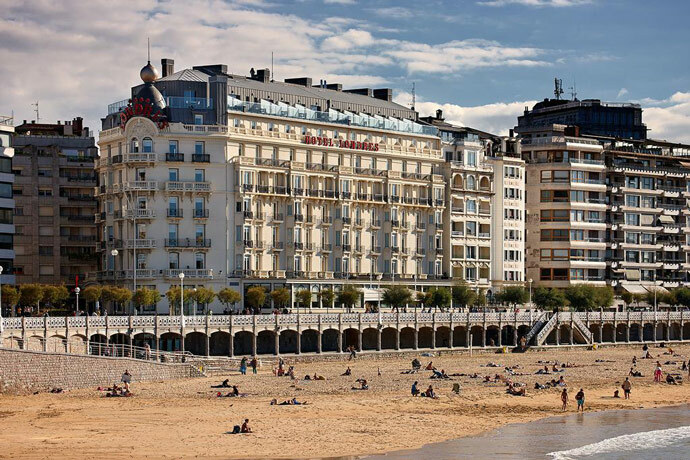 We’ve put together our San Sebastian accommodation guide to help you choose from the best hotels in San Sebastian and what area of San Sebastian to stay. 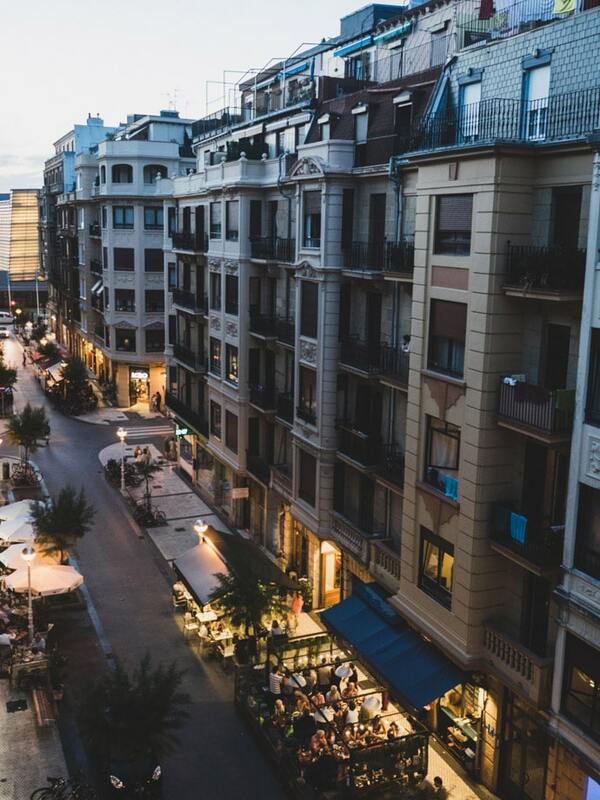 So what is the best area to stay in San Sebastian? San Sebastian is not too big, so most locations aren’t too far from the city centre. 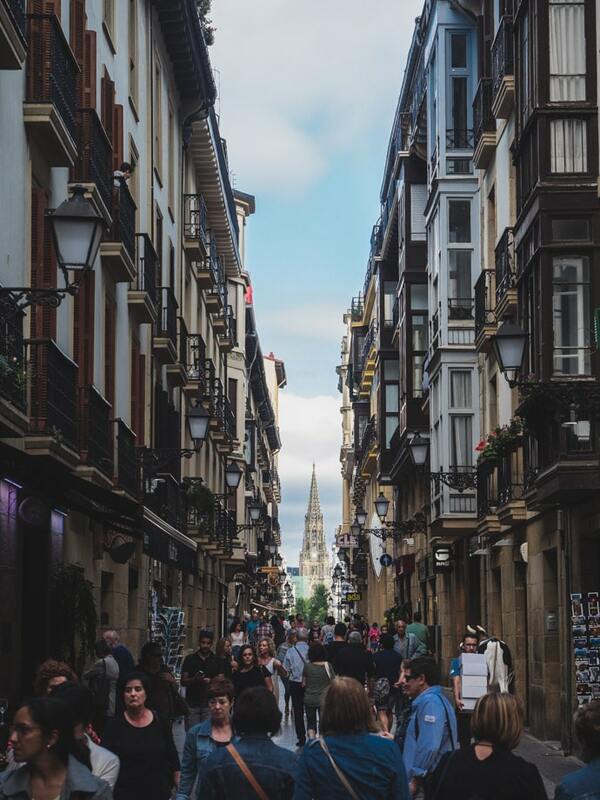 Here are some of the best neighbourhoods in San Sebastian Spain: Parte Vieja, Gros, Centro, La Concha and Antiguo. Parte Vieja is the old town of San Sebastian. 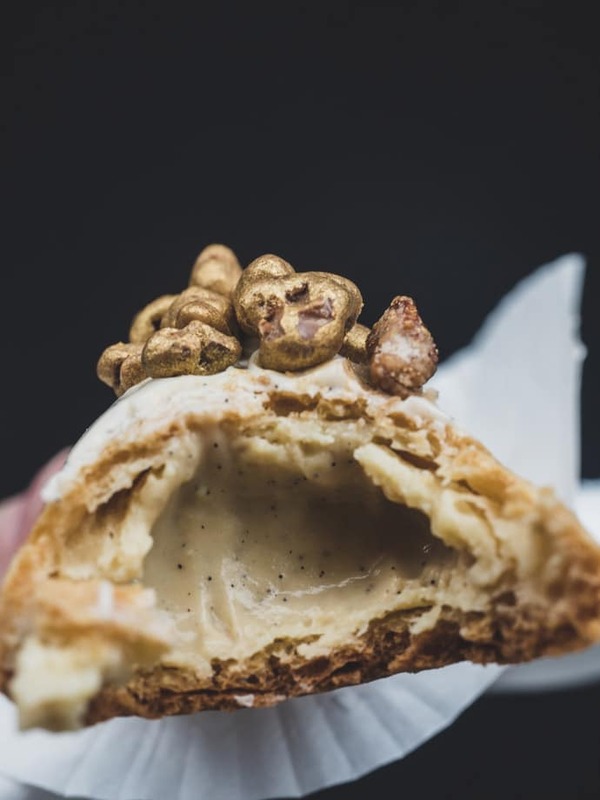 Here you will find many pintxos bars and beautiful little streets. You are also not too far from La Concha beach, and you can walk across to Gros and Zurriola Beach. Parte Vieja is quite busy with tourists and therefore can also be a little noisier. See our accommodation guides below for where to stay in San Sebastian Old Town. Gros is across the river from Parte Vieja, and not too far to walk to get to the Old Town and Pintxos bars. It also has some fantastic Pintxos bars itself. Here you will find Zurriola Beach, which is more of a surfing beach than La Concha Beach, which is flatter. Centro is the area behind San Sebastian Old Town and near La Concha Beach. 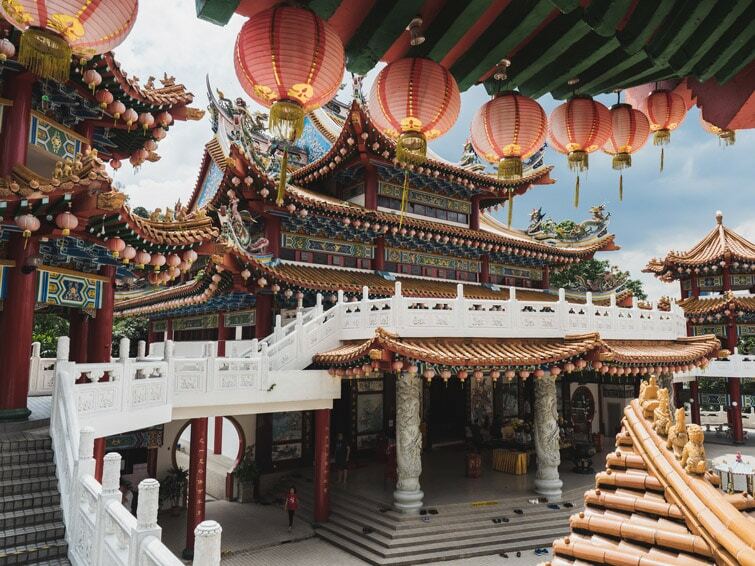 Here is where you will find lots of shops too. A great location to reach the beach and Old Town. La Concha is the area along La Concha Beach. 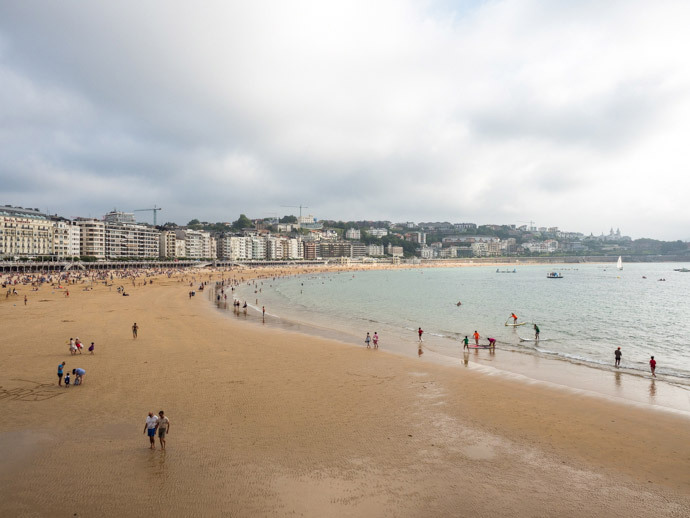 Perfect for beach holidays, and for exploring San Sebastian. Keep in mind, as you get towards the end of La Concha Beach, it will take you a bit longer to walk into the Old Town. Antiguo is the area neighbouring La Concha and Monte Igueldo, in front of Ondaretta beach. It’s home to the Royal Palace of Miramar. It is a much longer walk to the Old Town from here, around 30 minutes. 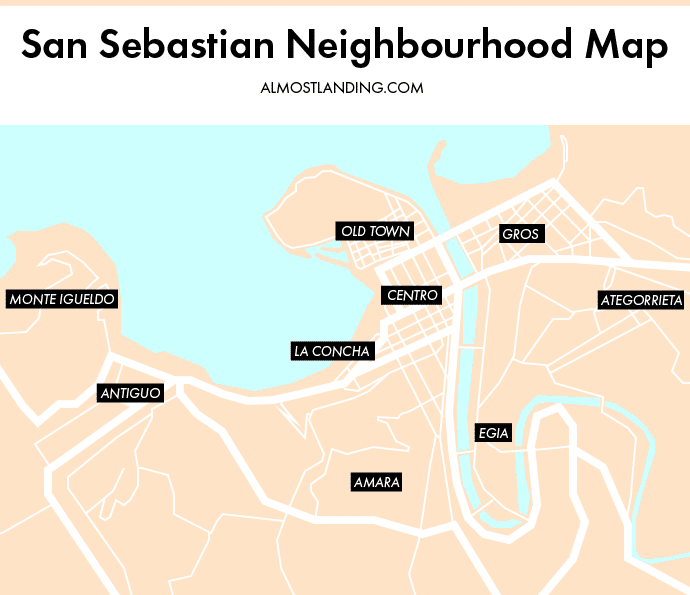 Other neighbourhoods to stay in San Sebastian include Ategorrieta (neighbours Gros), Egia (lies between Gros and Ategorrieta), Amara (neighbours Centro) and Monte Igueldo (neighbours Antiguo). When booking accommodation in San Sebastian, there are two main websites that we use. 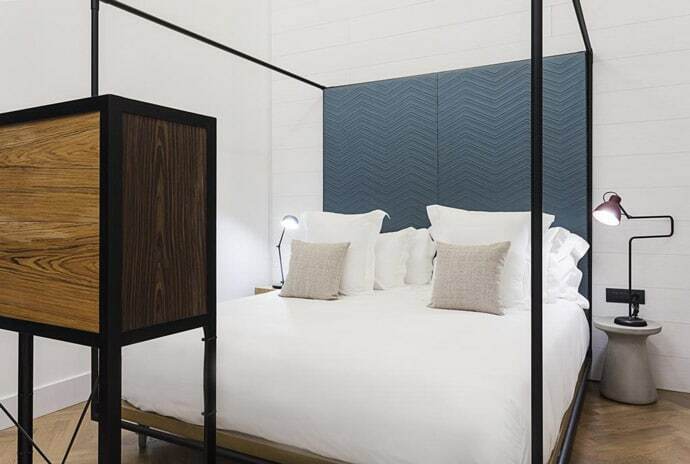 We love seeing what’s available from Airbnb, from getting to stay with a local host or having your own place to yourself, there’s something for everyone. 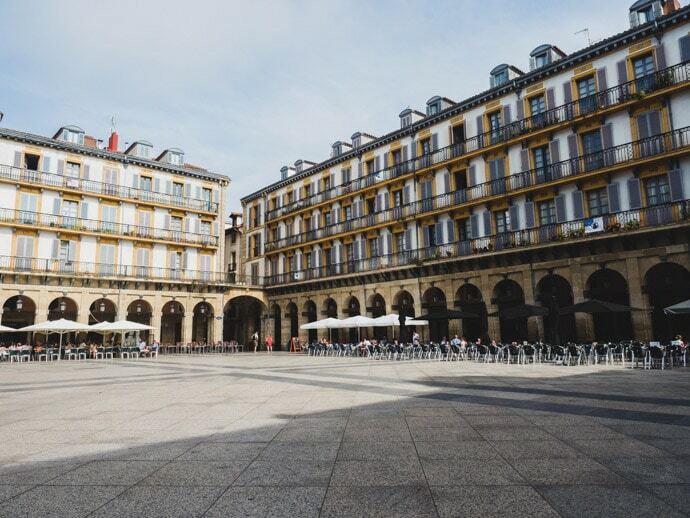 We have put together a guide of our favourite accommodation in San Sebastian from our experience of our time there and research. This includes 5 star and luxury hotels in San Sebastian, boutique hotels in San Sebastian and the best hotels in San Sebastian Old Town. 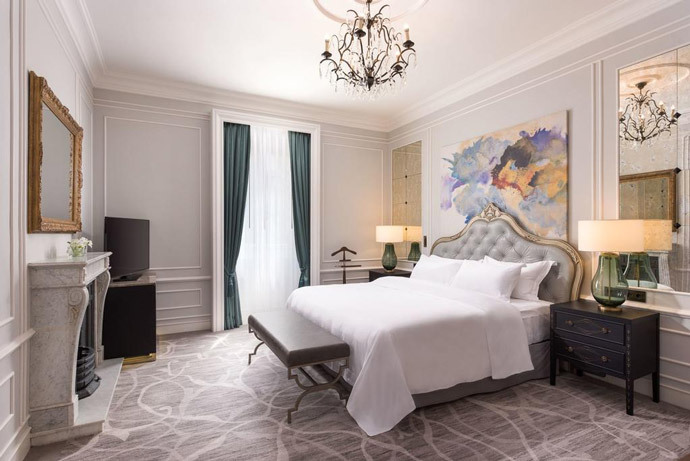 In a grand historical building, this 5 Star hotel is located in Centro, just outside of San Sebastian Old Town, near the river and not too far from the beach. 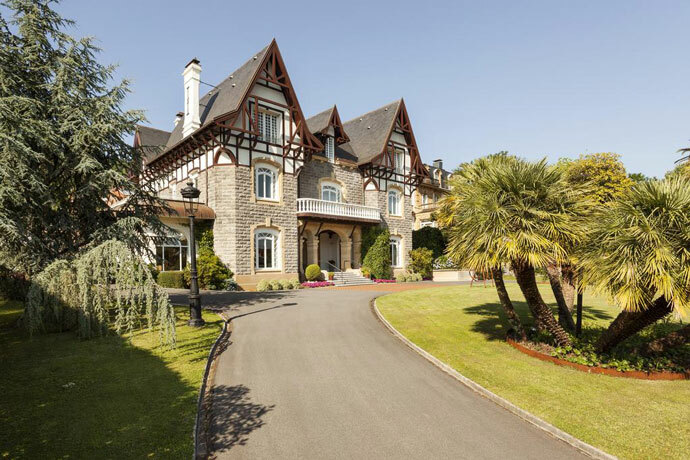 Stay here for a special experience, also a great location for exploring San Sebastian. Although far from San Sebastian Old Town, this beautiful 5 star hotel has amazing views and a 3 Michelin Star restaurant on site. Perfect if you’re in San Sebastian to relax more so than explore. But they do also offer a free shuttle service into the city centre. 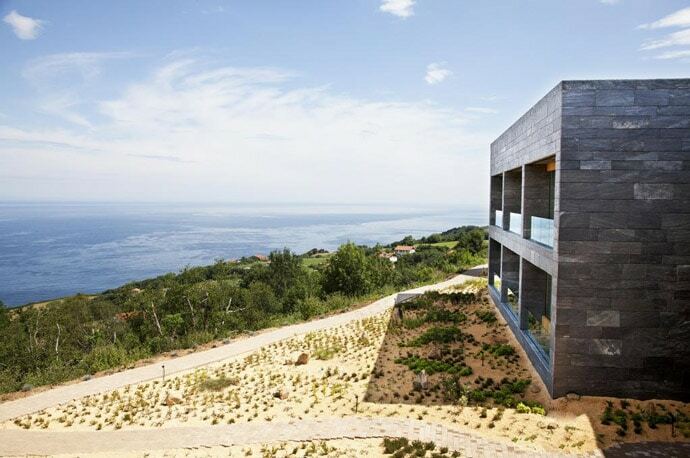 Hotel Londres is a beautiful 4-star hotel overlooking La Concha Bay. 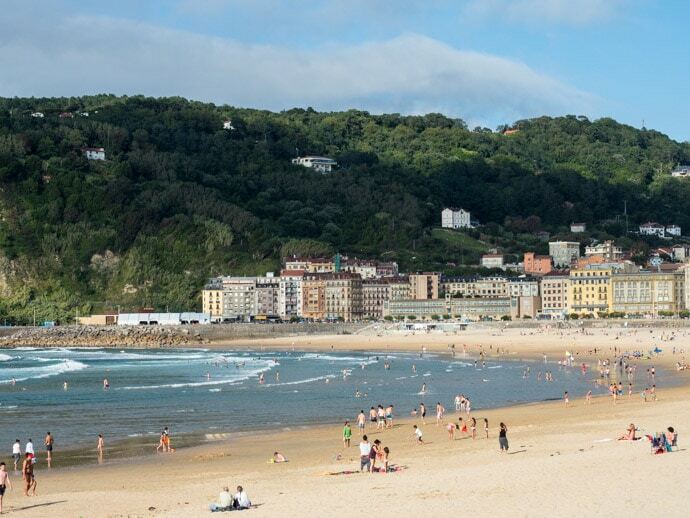 A great location to relax, go to the beach, explore San Sebastian and try all the Pintxos in the Old Town. Hotel Villa Soro is a 4-star boutique hotel in a beautiful classical building. Located near Gros but in a quiet residential neighbourhood. Located near Ondaretta beach, which is great for a relaxing beach holiday, although a little further away from the Old Town. 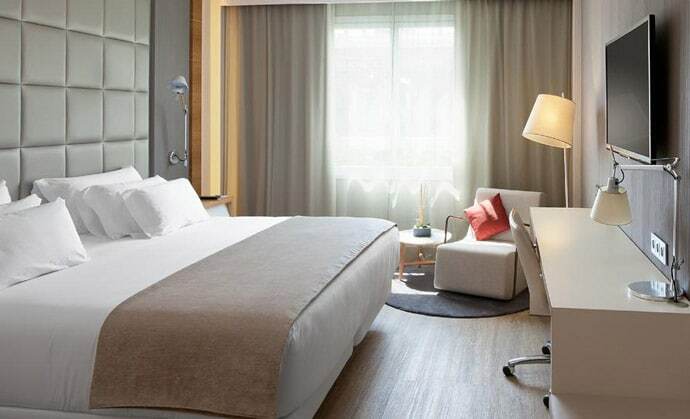 A well-designed hotel in the Gros neighbourhood, walking distance to the beach and San Sebastian Old Town. 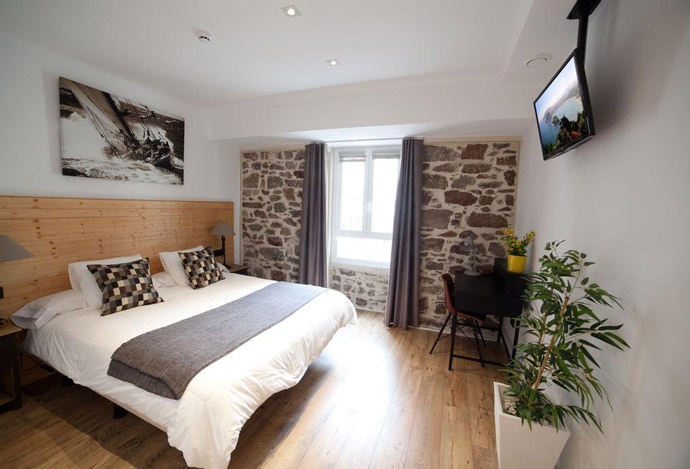 A boutique hotel located on the edge of the Old Town. A nice property located on the edge of the Old Town, walking distance to the beach. 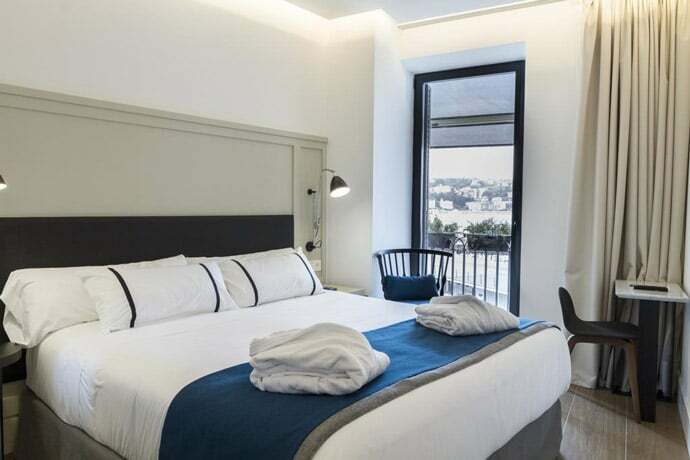 We will continually update this post to make sure we’re recommending the best San Sebastian Accommodation, to help you choose where to stay in San Sebastian.